So, first things first, I made some spaghetti. I made it with quinoa noodles. I also made some killer homemade sauce. This entry was posted in Dinner, Healthy, Life, plant based, Quinoa, Vegan, Vegetarian and tagged basil, cooking, dinner, healthy, Homemade, pasta, quinoa, recipe, sauce, spaghetti, tomato on October 9, 2013 by milkandcerealblog. Have you forgotten about me? I hope not. I haven’t forgotten about you! I’ve done it. I think I’ve finally perfected my black bean burgers, and it’s about time! They’ve always had good flavor, but I couldn’t get the texture quite right. Turns out, I was probably just being impatient before because cooking them longer seemed to be one of the main reasons they weren’t mushy this time. This entry was posted in Dinner, Healthy, plant based, Quinoa, Vegan, Vegetarian and tagged black bean, burger, dinner, Homemade, plant based, quinoa, recipe, vegan, vegetarian on July 21, 2013 by milkandcerealblog. Did you know that February is National Chocolate Lovers Month? Yeah. I’m just finding this out today, and I’m usually disappointed when I find out about food holidays towards the end of the celebration period. However, I’m pretty much always “celebrating” chocolate, so I’m not too disgruntled about the 24 days of National Chocolate Lovers Month that have already passed. Now, you may be wondering why I’m going on about chocolate when today’s post clearly does not contain a chocolate recipe. Well, I’m quite certain that there’s no shortage of chocolate recipes out there, and I thought a healthy recipe would be a nice way to offset all that Valentine’s chocolate and other celebratory chocolate treats. So put aside the chocolate for a while, and feast your eyes on this Copycat Qdoba Burrito Bowl. This entry was posted in Dinner, Healthy, plant based, Vegan, Vegetarian and tagged burrito, burrito bowl, dinner, healthy, Homemade, pico de gallo, plant based, qdoba, recipe, rice, salsa, vegan, vegetarian on February 25, 2013 by milkandcerealblog. Well, it’s that time of year again, folks. The snow is falling and the wind is howling, and the kitchen is calling– Calling me to stay inside and warm up with some chili! This entry was posted in Healthy, plant based and tagged beans, chili, dinner, forks over knives, healthy, hearty, Homemade, lentil, plant based, recipe, soup, vegan, vegetarian on November 29, 2012 by milkandcerealblog. 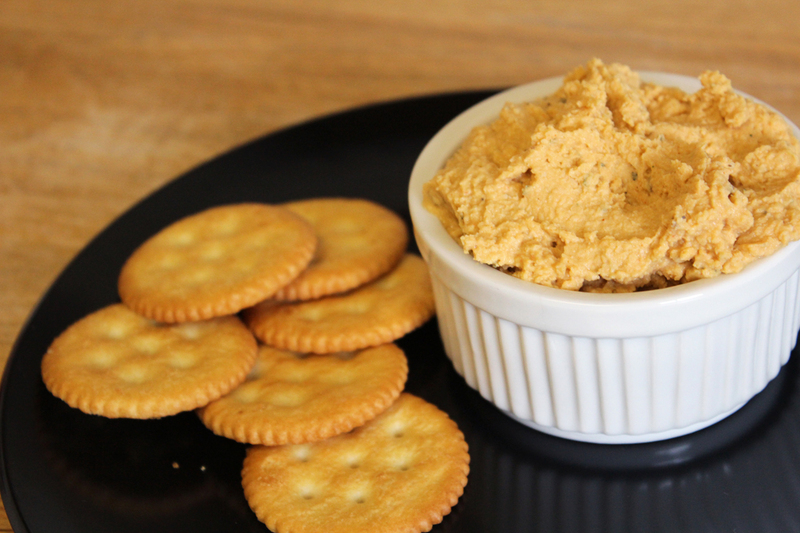 Today, I offer you a simple little hummus recipe. This entry was posted in Healthy, plant based, Snacks and tagged ckickpeas, dip, food, garbanzo beans, healthy, hummus, plant based, vegan, vegetarian on October 18, 2012 by milkandcerealblog. Well hello there! Have you met my friend? This is quinoa. No doubt you have, indeed, met quinoa before. But how much do you know about it? 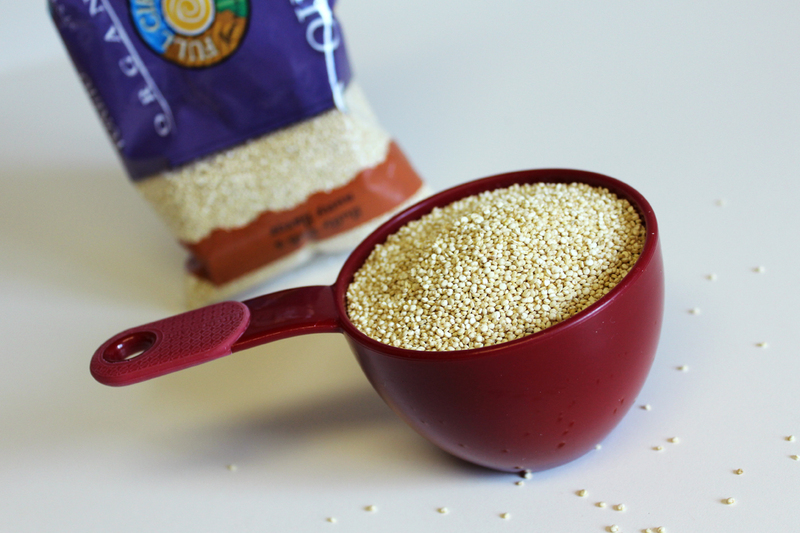 Chances are you know that it’s a gluten free grain and that it’s packed full of protein and fiber. 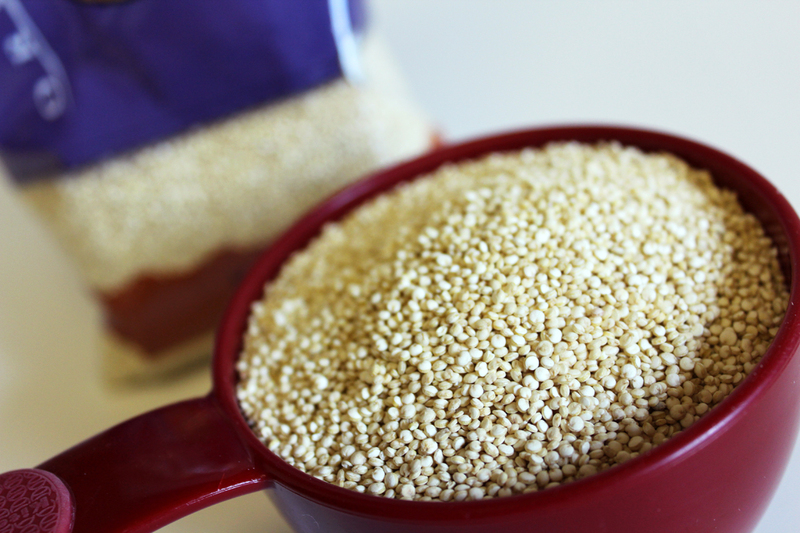 That’s almost all true, but here are a few things you may not know about quinoa. It’s a seed, not a grain. That was new information to me! I did a little research and also found out that it’s a complete protein (meaning it provides all nine essential amino acids that humans need). 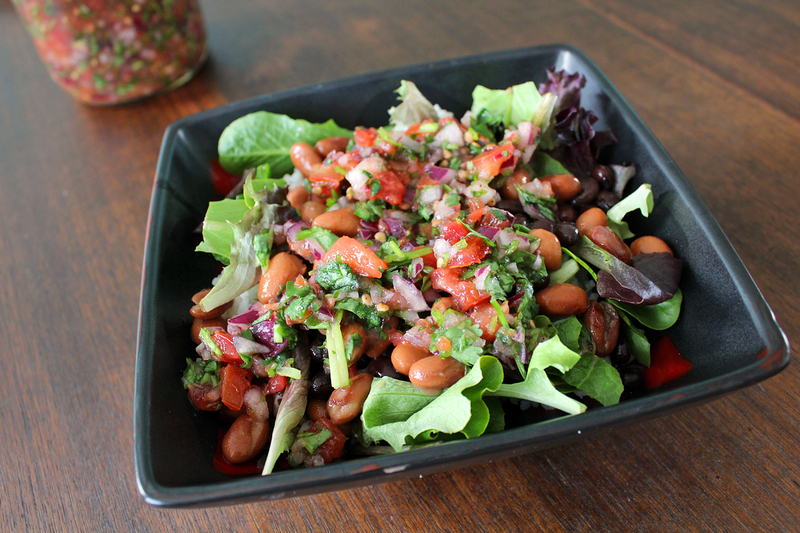 We all know that beans are loaded with protein, but those are incomplete proteins. Who knew? Go quinoa! It’s a great source of iron, too, which is awesome for vegetarians. It’s good for your heart and can help improve cholesterol levels (just like Cheerios!). So there you go. Are you sold on these stuffed peppers yet? This entry was posted in Healthy, plant based, Quinoa and tagged bell pepper, cooking, dinner, plant based, quinoa, southwest, stuffed pepper, tomato, tomato sauce, vegan, vegetarian on October 4, 2012 by milkandcerealblog. Who loves a good enchilada? Everybody, right? Right. There’s just something about saucy, spicy tortillas married with cheesy goodness that nobody can turn down. 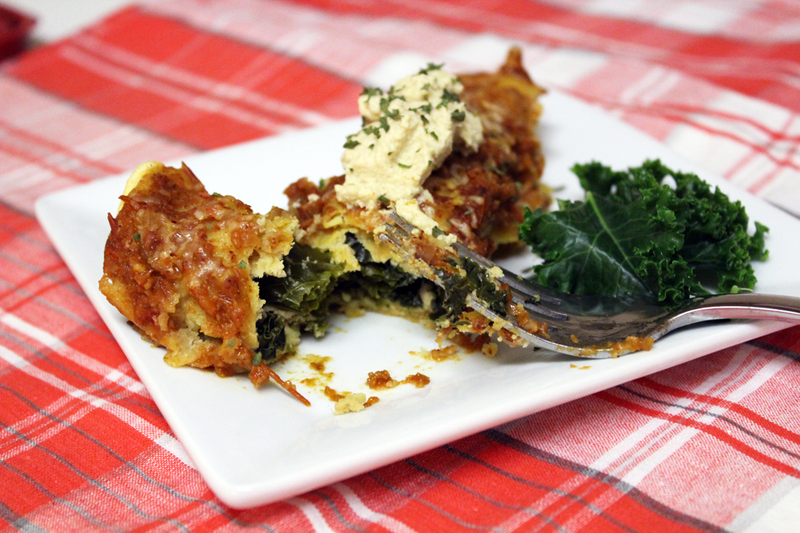 This entry was posted in Healthy, plant based and tagged cashew, cheese, cooking, dinner, enchilada sauce, enchiladas, food, healthy, kale, mexican, plant based, tortilla, vegan, vegetarian on September 27, 2012 by milkandcerealblog.